After arriving in Almaty, Kazakhstan, we went to the house of Saule and Kuanysh. 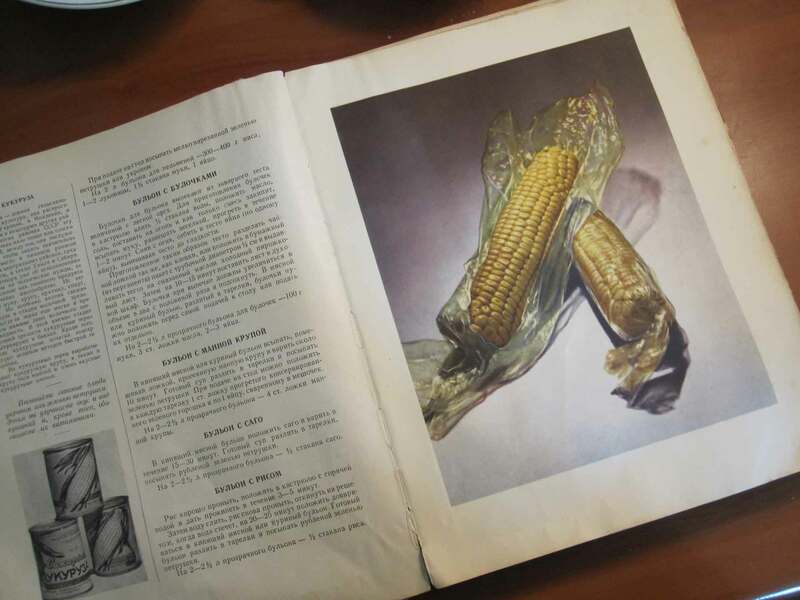 Saule shows us an old Soviet cookbook that was her grandmother’s. 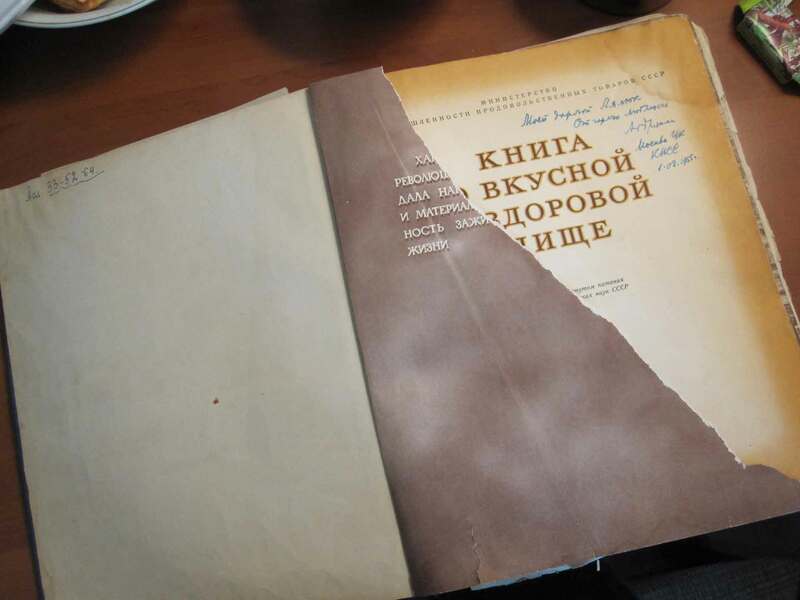 The first page with a quote from Stalin has been ripped off. Saule told us about her days of being an art student. Saule Suleimenova is a painter living in Almaty with her husband Kuanysh Bazargaliev, also a painter, and two daughters. Aiman has a large vegetable garden in the back of her house, she also keeps a dozen chickens and two sheeps. She lives in the city of Taraz, a ten minute walk from the center bazaar. She is an urban farmer. For the occasion of our visit, she had bought a sheep. 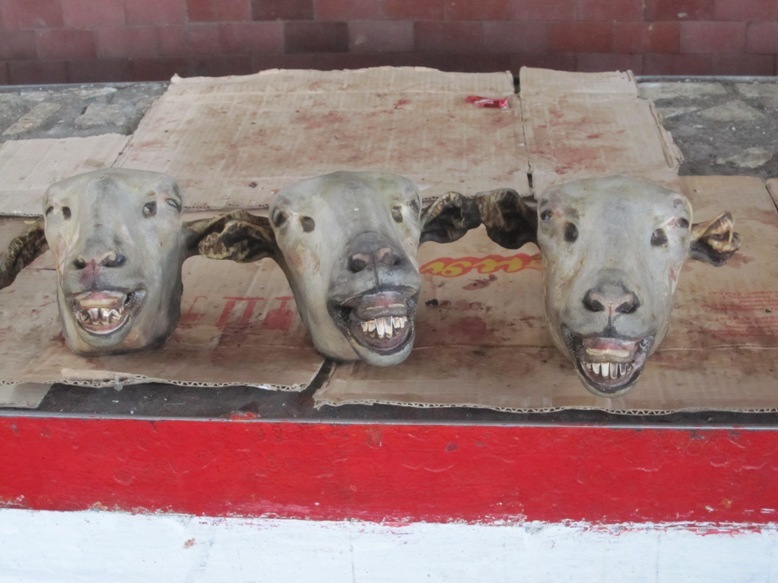 Early in the morning, the butcher came to Aiman’s house to slaughter the sheep. He breaks down the carcass in a different way than we do in the United States. As we watched him doing his work he apologized for not wearing a cleaner pair of pants. Aiman, Zhanara and Zarina cleaned the intestines. 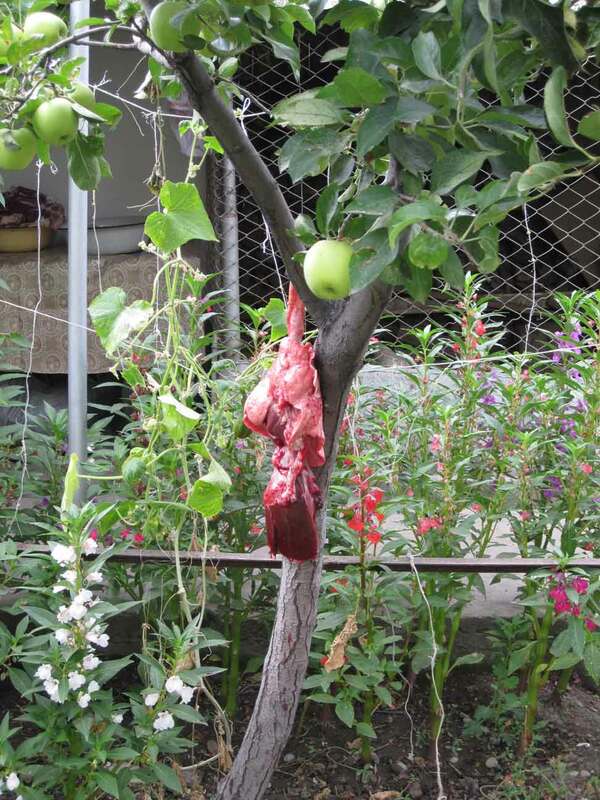 He hung the lungs, the heart and the liver in the apple tree. Later that day Aiman lit a fire in the outdoor stove and cooked the lamb and a horse sausage in the kazan. The dinner brought the families of Aiman and her two sisters together. 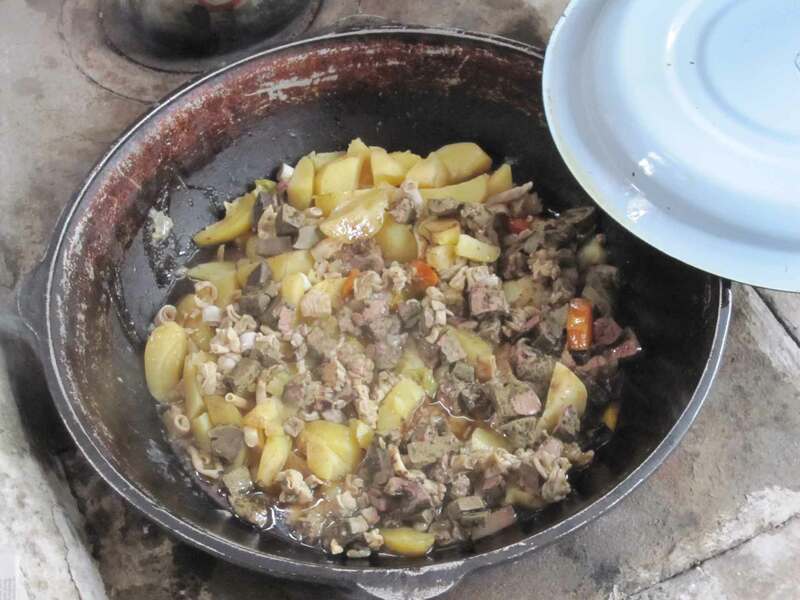 We ate first a stew of the organs and a tomato salad with purslane from the garden then sampled some spicy sausage Jerome made with the caulfat and finally the main dish of the lamb and the horse sausage, called beshbarmak. Aiman’s brother-in-law, a doctor, distributed the pieces of lamb according to the guests so each got a specific bone. 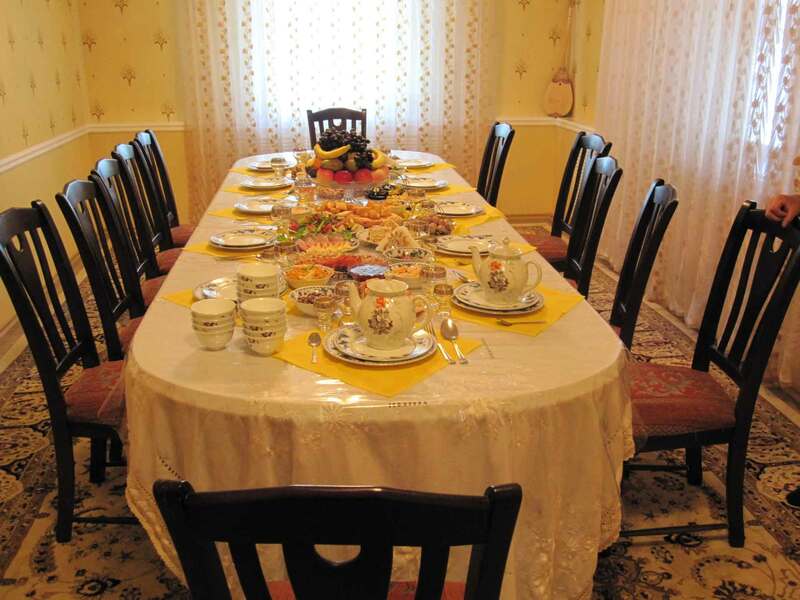 At all time the table was covered with plates of fruits, sweets, breads and salads. 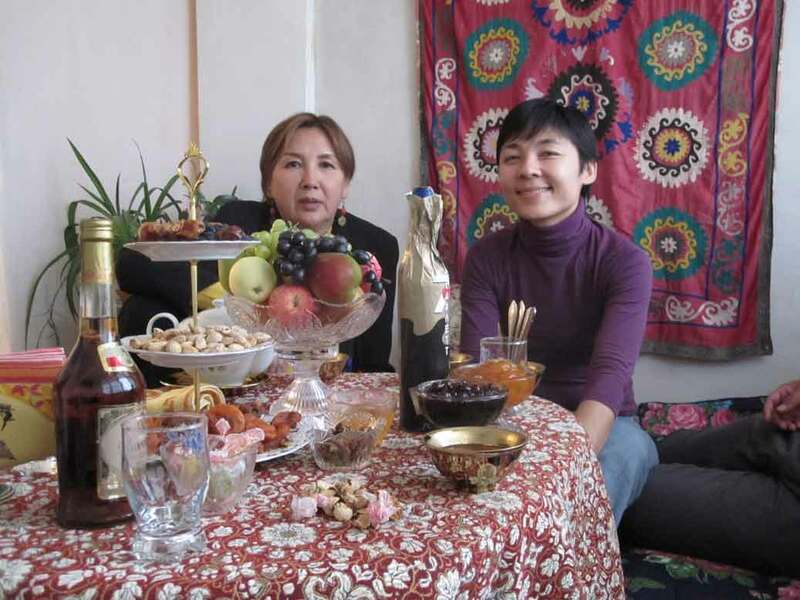 Aiman Omarbekova is Zhanara’s mother. 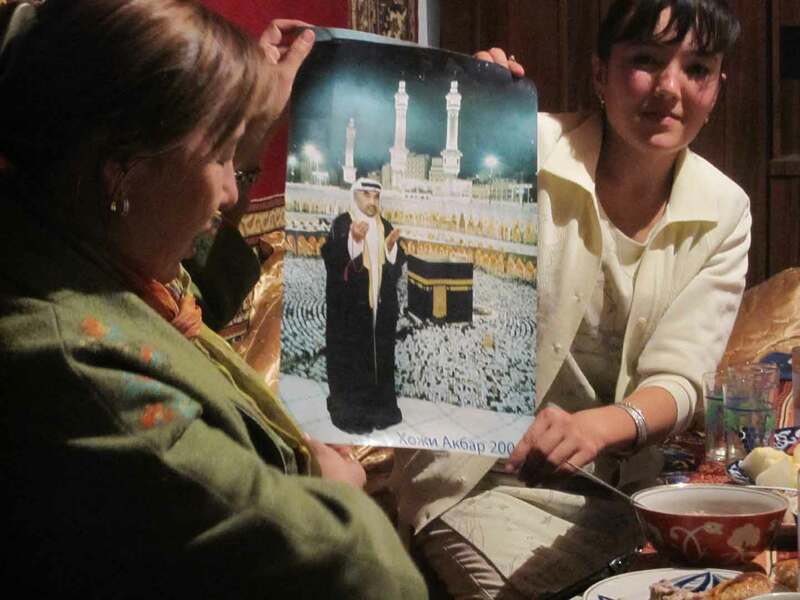 She lives with her husband in Taraz, a medium size town in the south of Kazakhstan. 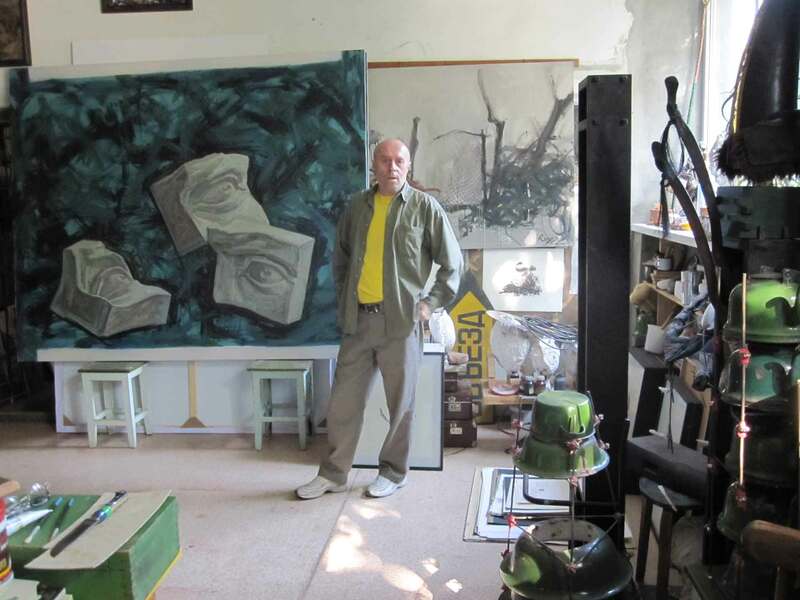 In Bishkek, the larger city in Kyrgyzstan, Nina brought us to the studio of Valeriy Ruppel a local painter. 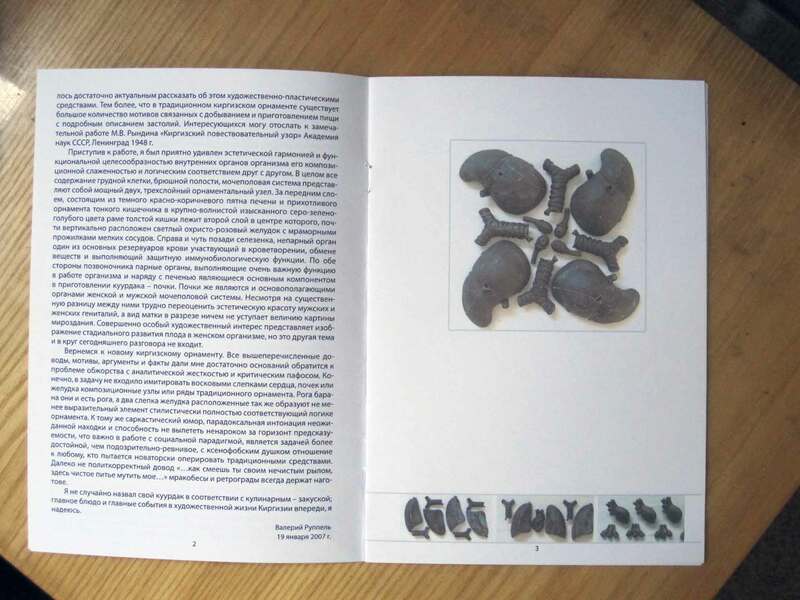 Although Valeriy is a painter and a sculptor he is considered one of the most conceptual artist in Central Asia. 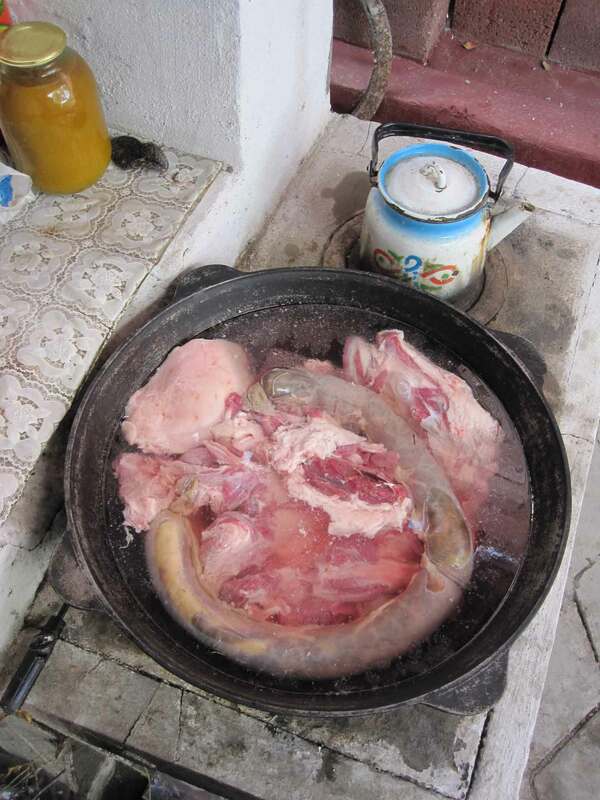 As the conversation turns to food he opens a suitcase full of casts of sheep innards, he explains to us that they represent the different organs that go into Kuyrdak, the dish we ate first at Aiman’s lamb dinner. Nina Bagdasarova is a teacher, scholar and Jazz singer. 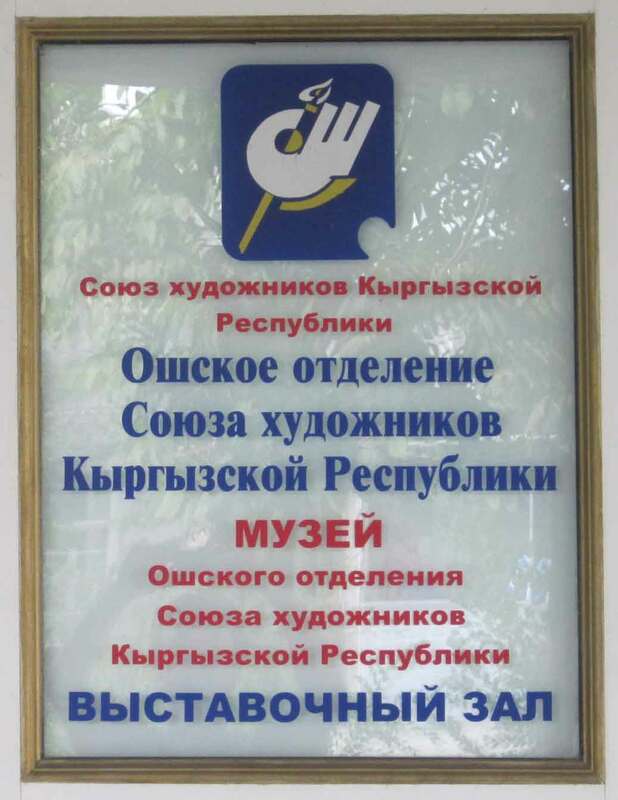 She was born and lives in Bishkek where she works for an NGO. 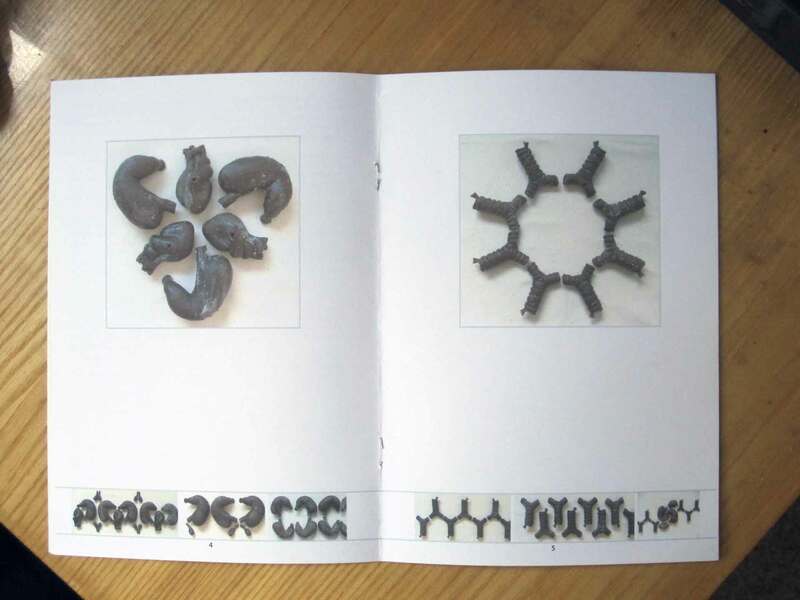 The distribution of the pieces of the sacrificed animal is always an important part of the ritual and is often the reflection of some kind of order. 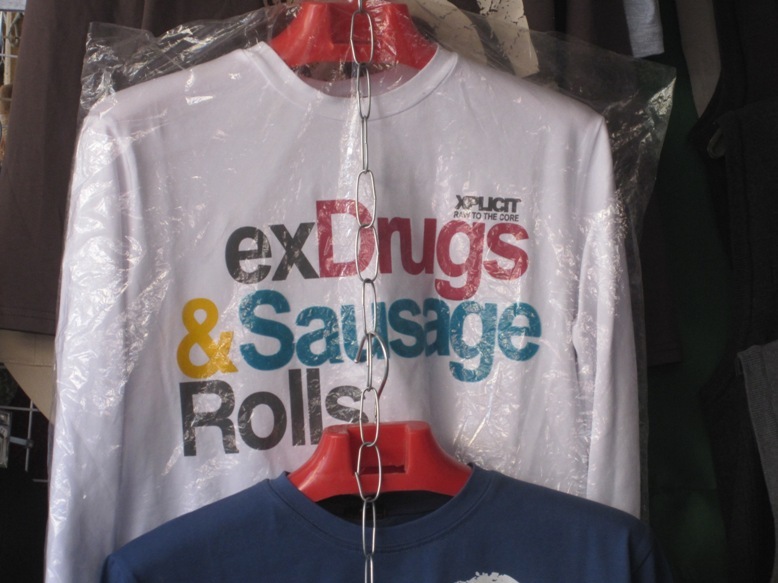 Within a few days in central Asia we came across three very different examples of this idea. Saule tells us about her friend Peter and a lamb he had to give away as an offering. Aiman, who has not hosted her daughter and son-in-law in her own house since they were married in California, has organized a great get together and dinner for the occasion. We noticed that the butcher broke down the carcass in a different way than we do. Later we will learn why. 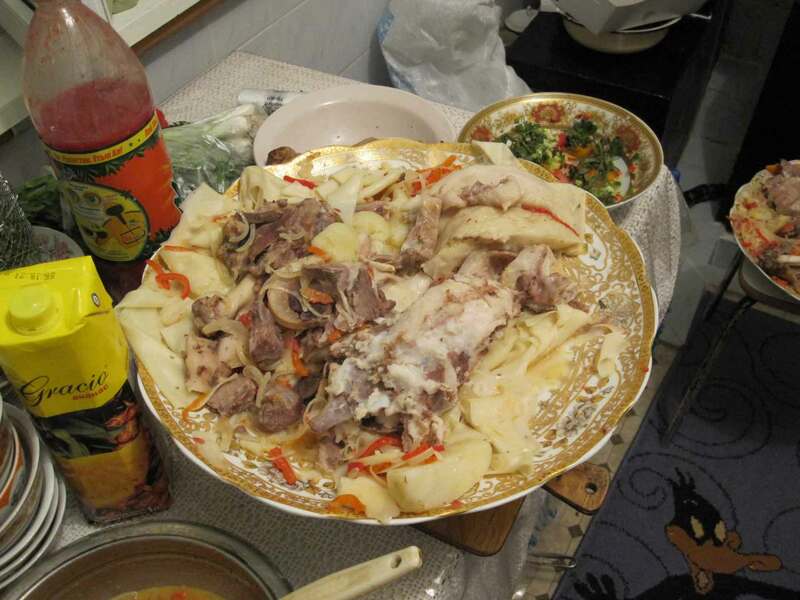 The platter of beshbarmak with the breast bone, reserved for the son-in-law. 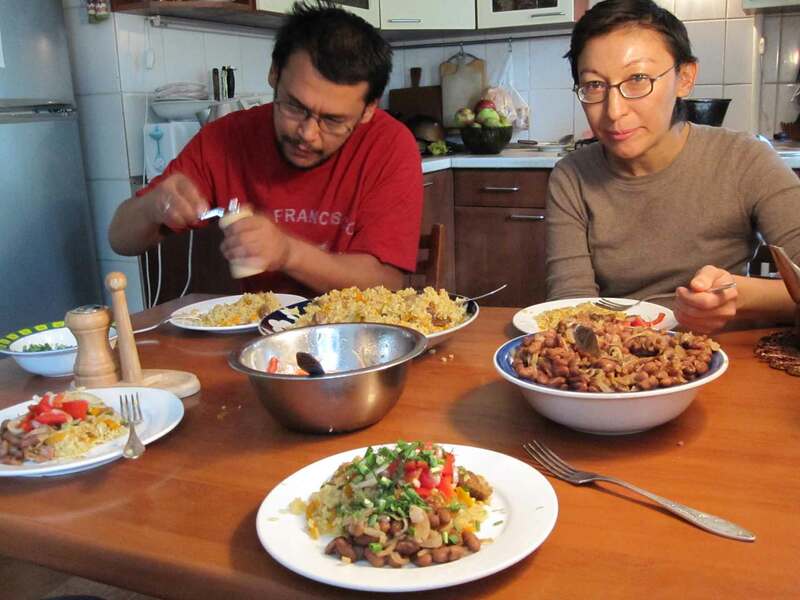 Almaz explains the art of who gets what at the lamb feast and the differences between Kyrgyz and Uzbeks. Kuyrdak cooking in the kazan at Aiman’s house. It was prepared with the organs of the lamb and served before the meat. It is part of the next story. While visiting Valeryi, he opens a suitcase, filled with cast representing the organs of the lamb used for the preparation of the Kuyrdak. They are part of a show he did where they were organized in different patterns or what he calls ornaments. Ornamental painting is a traditional aspect of Kyrgyz visual arts. 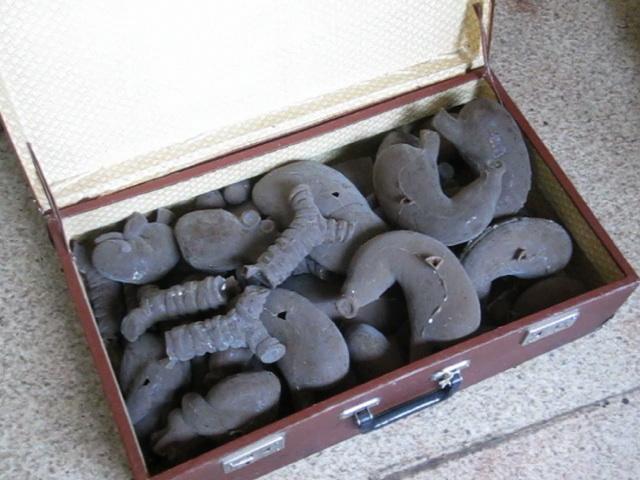 The mold used to cast the kidneys. 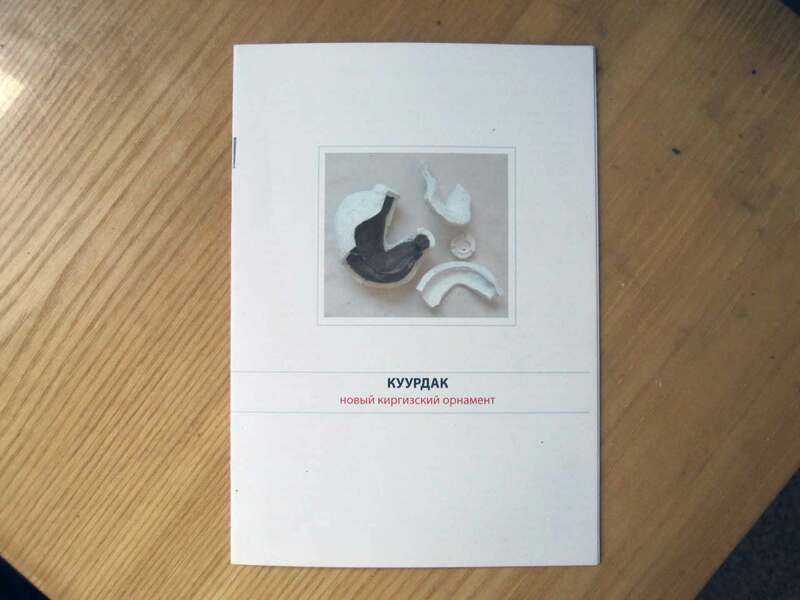 The catalog for the exhibit. Tamara Kadyrbayeva, our host in Osh, is a trained art historian (iskusstvoved, in Russian). She married her husband, who is a prominent Osh artist, during her university studies in Leningrad. 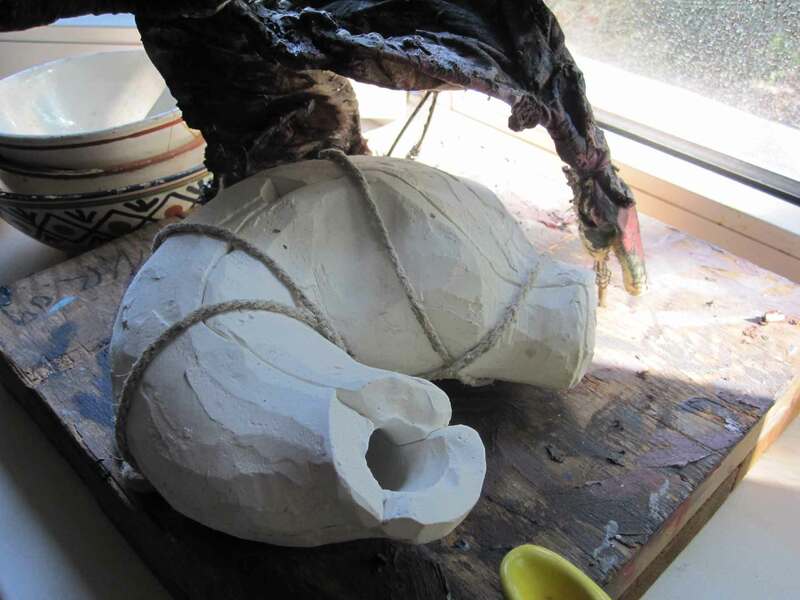 Tamara-eje considers herself to represent the artists from the entire southern region. The job of art historians is to provide art critique for artists. They were generally part of the Unions of Artists. Tamara-eje also works at the local university. 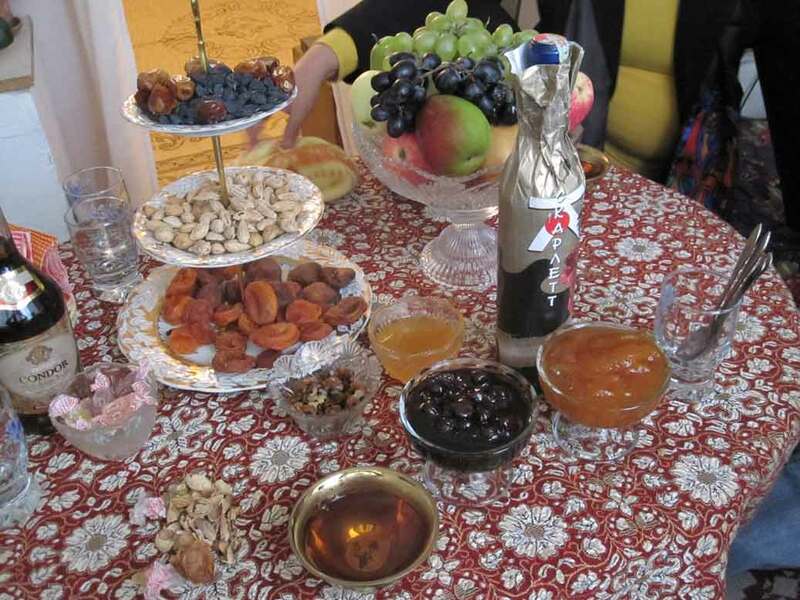 At her home, we drank tea sweetened with cherry and apricot jams (varen’e). Tamara is a native of Osh. 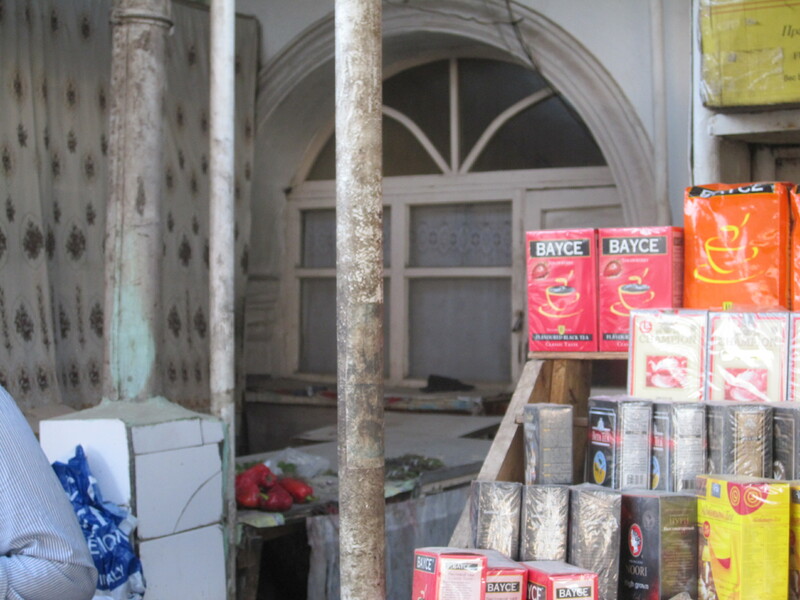 She shared a few precious childhood memories of her visit to the bazaar with her grandparents. 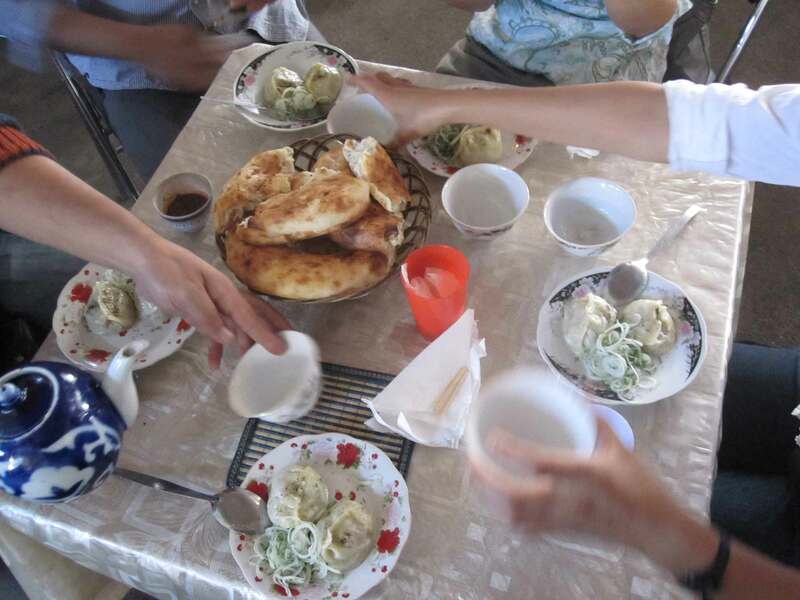 We will also eat mantis, a large dumpling filled with meat and onions. The bazar of Osh is rugged. Several narrow streets parallel the river; on the main thoroughfare we find mostly clothes, videos, bags, stationery… everyday stuff. Small sideways openings lead to other businesses; the covered meat market where everything is in plain sight, hooves, livers, severed bull’s heads, lamb fat and intestines. If you know where to look you can find a separate room ,with only one entrance door, where Russians sell pork and also a few very expensive chickens, the only ones not imported frozen. Different areas sell different things but boundaries are not well defined. There are television sets, hand made knives, fabrics, suits, fruits, vegetables, kitchen equipment, tea, religious books, some dried fish, cell phone cards, spices, iron works, planks and probably anything else you might want. Everywhere you go you will also run into some kind of restaurant or food stand. First look around for a location. Tamara, our host, selected a nice restaurant, beautifully situated by the river and part of a complex of eating places owned by two brothers. We could use part of their kitchen and figure out the dinning area. We met there for tea on the first day with Shaarbek and Amanda who were visiting from Bishkek. Despite being centrally located, it was out of the main thoroughfares and a bit isolated, so Amanda and Jerome went for a little tour of the vicinity and by chance located an empty restaurant, right next to the vegetable vendors in the thick of the old market. Nina, whom we met in Bishkek, gave us the name of a friend of hers,Almaz who lives in Osh and is passionate about his city and its culture. He takes us on a tour of the market and we end up hanging out with him for a couple of days, learning about food, local customs and talking about our project and how best to go about it. Later he will interview us for the local newspaper. Rakhmanberdy is a Hadj, meaning he made the pilgrimage to Meccah and follows religious precepts. 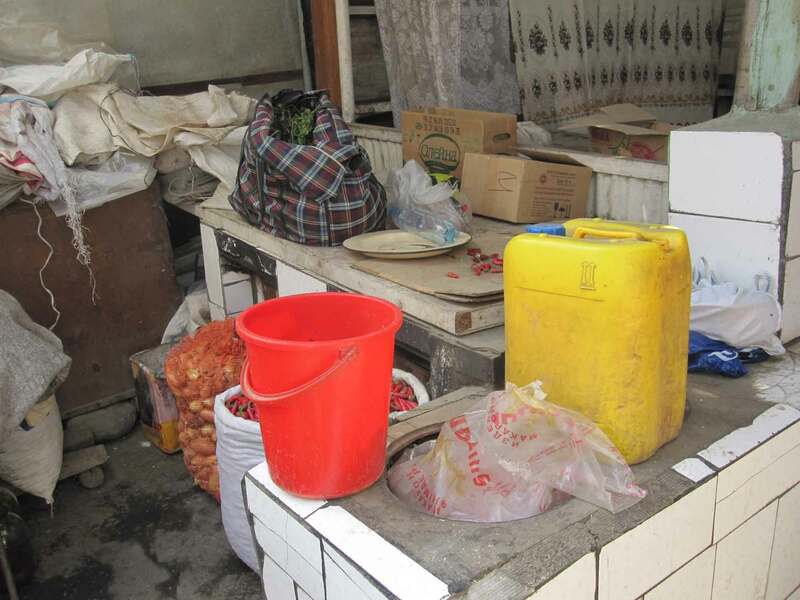 We arrived in Osh during Ramadan and this is why the restaurant is closed. 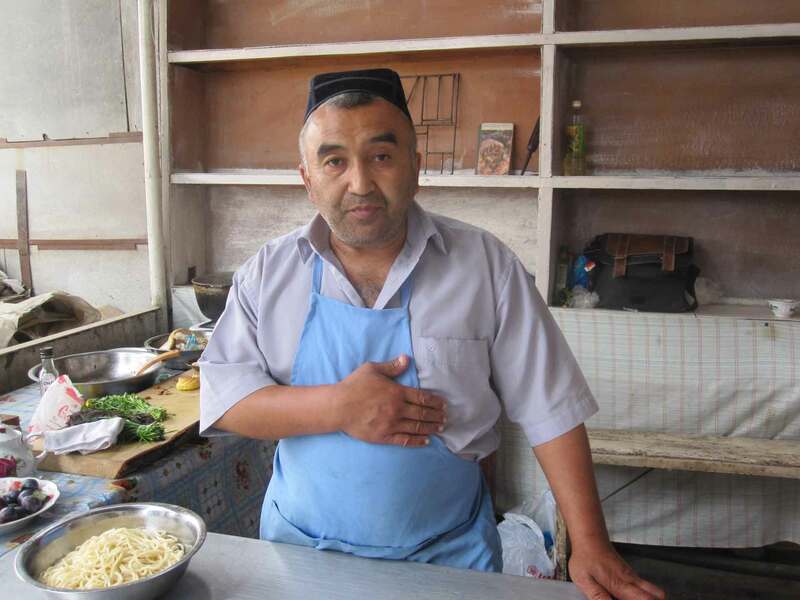 He has run this place for 2 years, serving lunch, mostly to vendors of the surrounding food market. He gave us the keys and told us that he will be around to help cook and bring in some customers. This is great news to us; we will be able to learn directly about local cooking but more importantly he will become a collaborator in the project. Later he will make Oromo. Amanda Eicher is an artist living in the bay area. She is working with children at the B’ art center in Bishkek for her residency with the Global Art Lab. Almaz Kalet is a journalist leaving in Osh with his wife and their two children. Shaarbek Amankul is an artist and runs the B’art center in Bishkek. Our host Tamara introduced us to the artists affiliated with the Union of Artists, mostly in their late fifties and sixties. Although previously part of the elite intelligentsia, the artists that we met during our project seemed to have been pushed to the margins of society by the changes of the last couple of decades. Accustomed to a different regime of art-making where the Soviet state commissioned and remunerated for their paintings and sculptures, these artists now struggled to make their living. The state no longer allocated funds for cultural production, so artists were left on their own to survive. Many had to quit art-making altogether and earn by providing taxi-service or selling and buying in a bazaar. 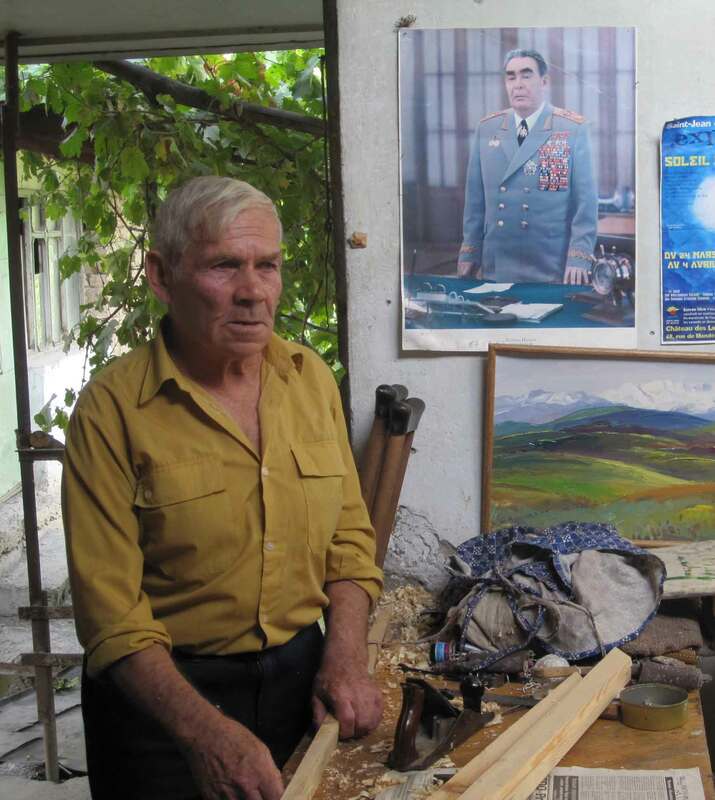 The artists that we met at the Union of Artists made money through various projects such as hand-painting advertisement signs, carving grave stone monuments, or making portraits of the new local businessmen. The studios of artists were located behind the exhibition hall. The courtyard that conjoined the studios was empty and overgrown with grapevines. Later, we saw a group of several men working on a stone bust. We stepped into a couple of studios. Dyadya Lenya was an older Russian artist, who turned out to be a master portraitist. In a conversation, he told us about his love for traveling. He customarily brings along his art supplies and makes “plein-air” sketches. 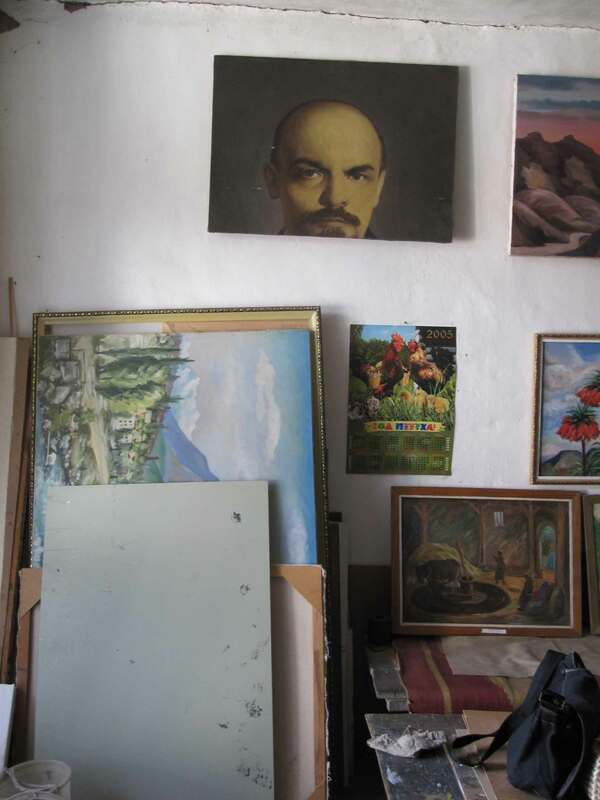 Nusurat Kambarov, who later contributed to our project, told us a story about this portrait of Lenin that hung in his studio. What happened to Lenin’s chin ? 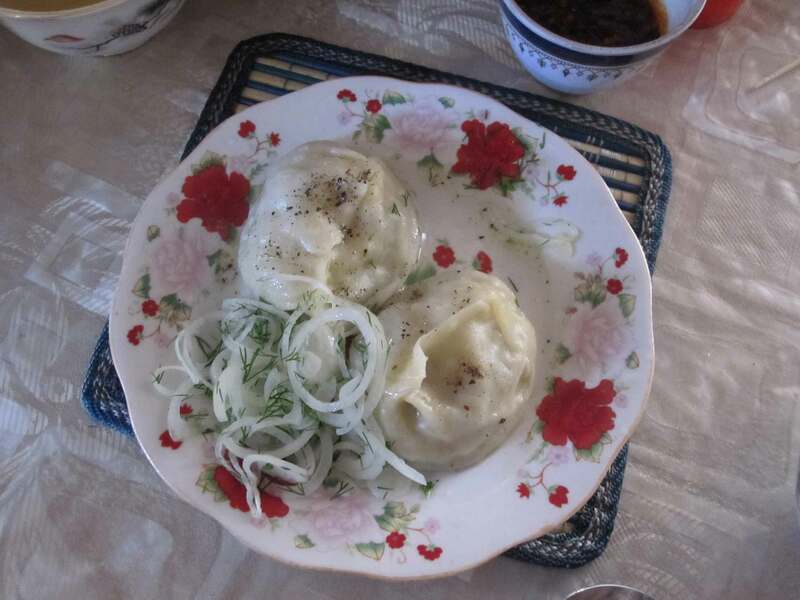 This blog documents The Borrowed Kazan, a project exploring culture through art and food in Osh, Kyrgyzstan. By opening a small restaurant in the bazaar, we set out to engage both the local food and art communities by creating a unique space for collaborative social experimentation. Open five days for lunch it brought together artists, students, teachers, vendors and passerby who worked, met or just ate together. 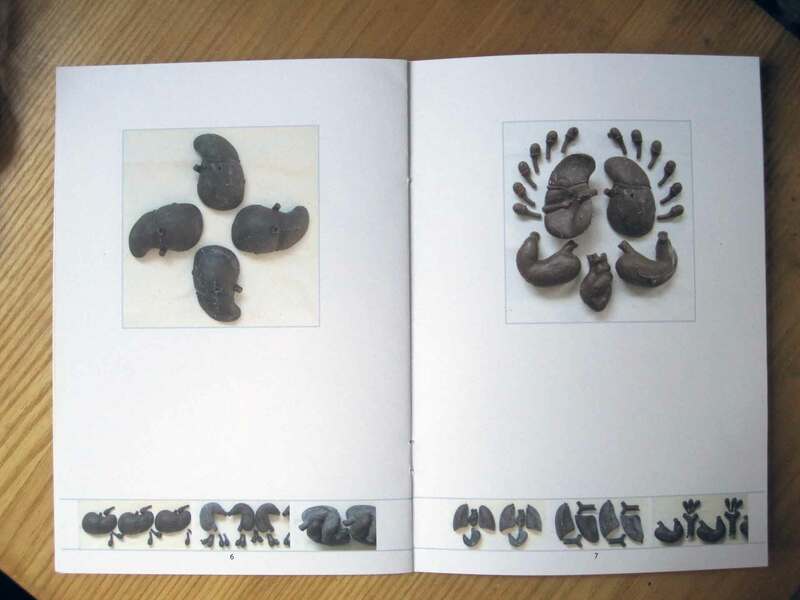 This project is part of The Global ArtLab, CEC ArtsLink's new initiative in central Asia. We have rearranged this blog so it can be read chronologically. The first post being the beginning of the trip. 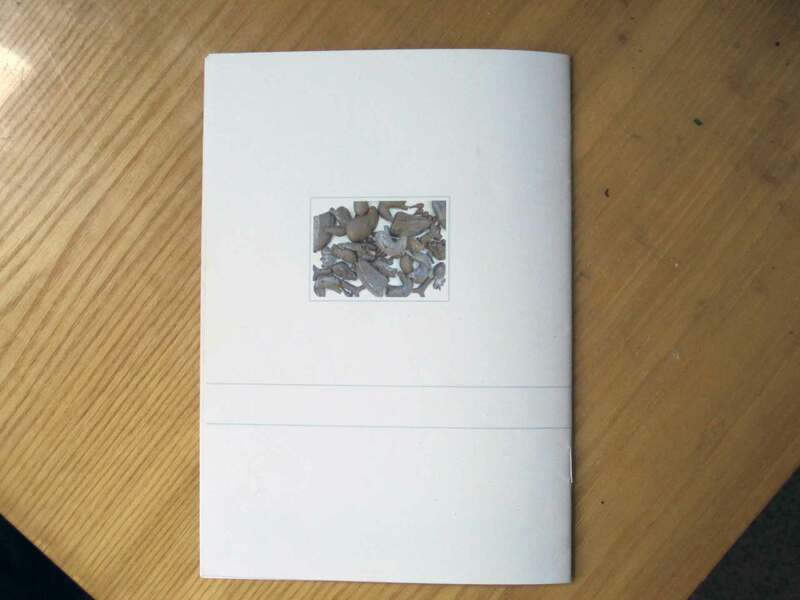 DANIEL GALLEGOS is a visual artist interested in urbanism and works at Chez Panisse Cafe in Berkeley, CA. 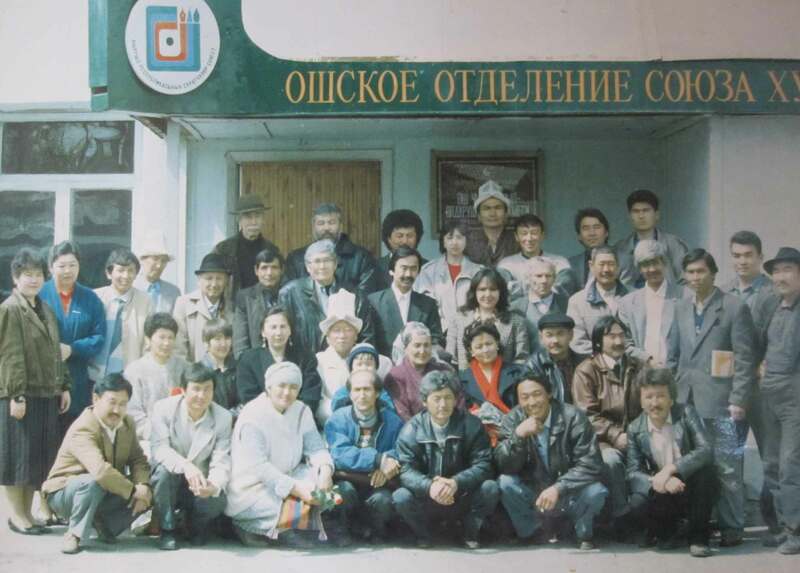 ZHANARA NAURUZBAYEVA is an anthropologist writing about visual artists in Central Asia and finishing up her PhD dissertation at Stanford University, CA. 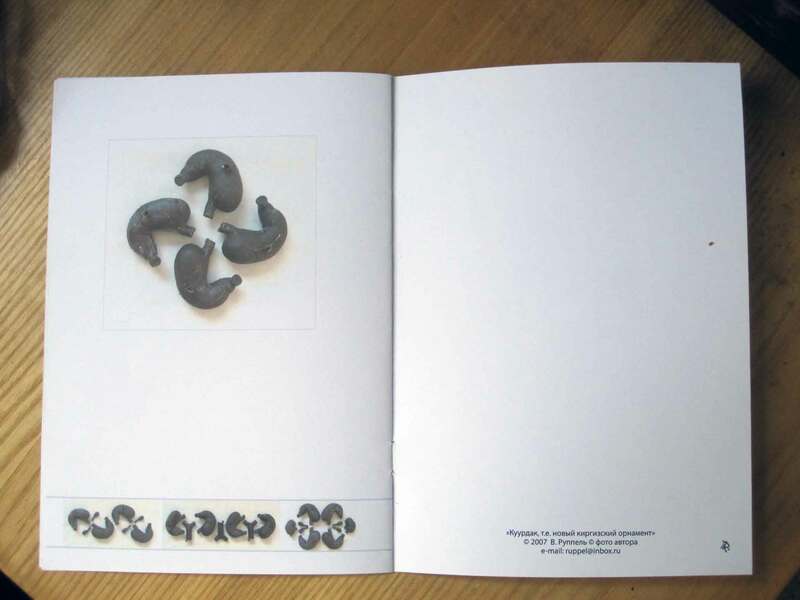 JEROME WAAG is an artist interested in social practices and a chef at Chez Panisse Restaurant in Berkeley, CA.